Donald’s ‘Story of the Dancer’ is an evocative, spoken-word story with music, song and dancing. It’s based around the 1914 Christmas truce and the story is intertwined with the Morris tradition. In the first of two outings this week, we performed for around 70 University of the Third Age (U3A) members at the Methodist Church in Chipping Norton. Many of the audience came over to thank us personally as we were packing up and one lady told me that it was the best U3A event she had ever attended! Our thanks to Anthony Benn at U3A for inviting us and to the large and appreciative audience. 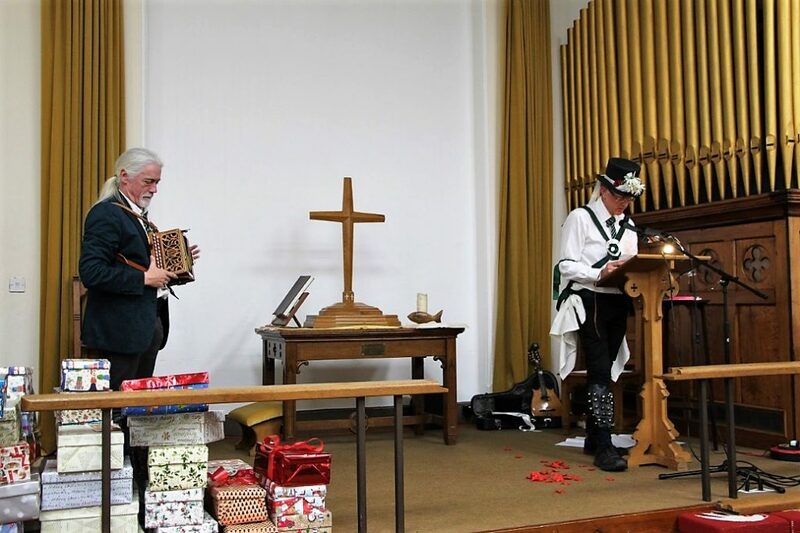 AVMM will be performing ‘The Story of the Dancer’ with guests Sharp and Blunt and Adderbury Morris at 7.30pm on Friday 9th November, St Mary the Virgin Church, Adderbury. The event is free of charge. Do please join us if you can.